The pictured amazing hair extnesions is Hera 12 inches body wave #2 darkest brown Indian virgin micro ring hair extensions. 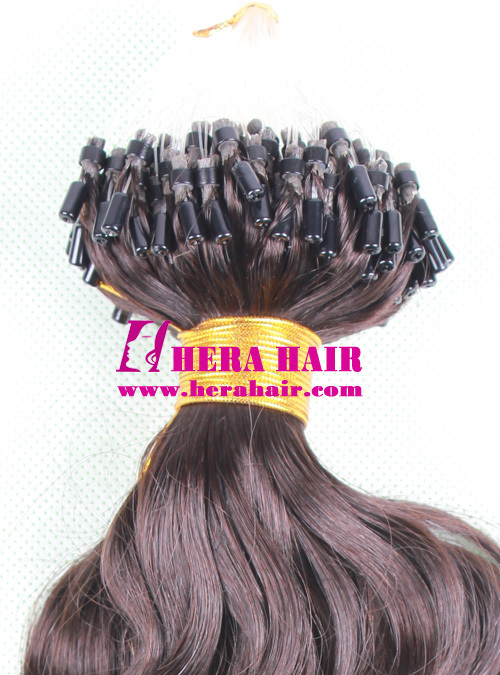 Hera is the best micro ring hair extensions manufacturer, wholesaler and supplier in China. Normally speaking, Hera mainly supply 1g/strand micro loop ring hair extensions, we also can supply 0.75g/strand and 0.5g/strand micro ring hair extensions. As for hair materials, Hera also can supply Russian virgin micro ring hair extensions, Brazilian virgin micro ring hair extensions, Malaysian virgin micro ring hair extensions, Mongolian virgin micro ring hair extensions, Chinese virgin micro ring hair extensions and European virgin micro ring hair extensions etc. If you have very big order, we can negotiate the each details according to your marekt, such as different hair ratio, differnt hair materials to make sure you can get the competetive price. 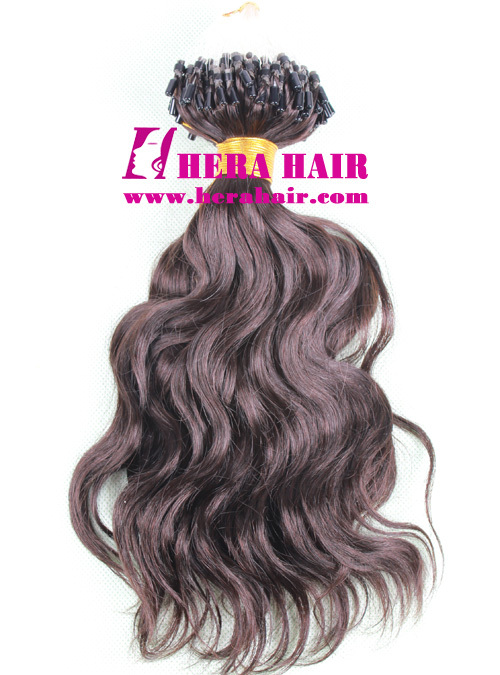 Personal user buy Hera micro ring hair extensions, you can visit our online store by http://www.herawigs.com, which is free shipping worldwide and you can pay by Paypal.